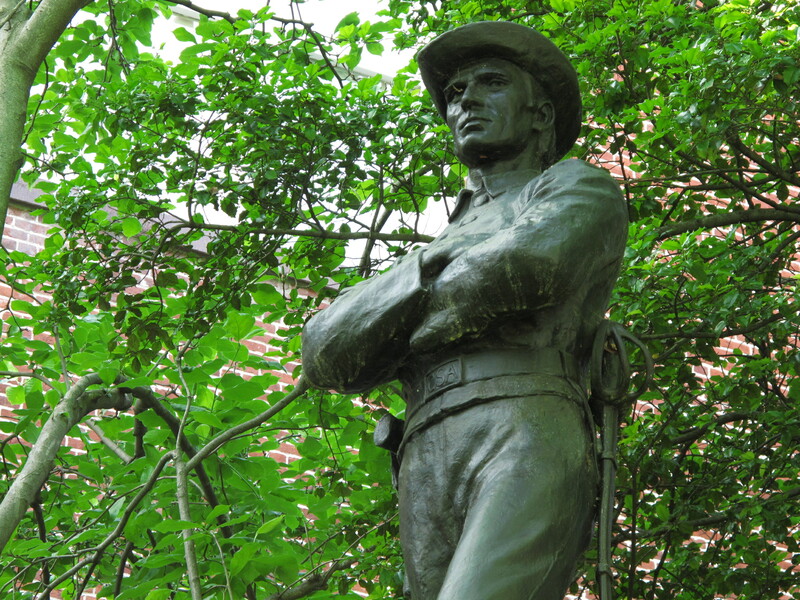 No Confederate Flags in Rockville, but What About the Statue? Confederate Soldier Memorial at the Red Brick Courthouse, Rockville. No Confederate flags fly above any government or business building in Rockville, but what about the Confederate Monument on the grounds of the Red Brick Courthouse in downtown? The United Daughters of the Confederacy erected the statue directly in front of the courthouse “to our heroes of Montgomery Co., Maryland, that we through life may not forget to love the Thin Gray Line,” unveiling it at a dedication ceremony on June 3, 1913 (Jefferson Davis’ birthday) that featured Congressman J. Thomas Heflin of Alabama, who was an outspoken proponent of white supremacy. Rockville’s and Montgomery County’s sympathies for the Confederacy were strong both during and after the Civil War. Of Montgomery County’s Confederate veterans, three were elected as county commissioners, five as state delegates, two as state senators, three as state’s attorney, and one as mayor of Rockville. Vestiges still survive today. For example, Edward Wootton, whose family name is memorialized on a major street, park, and a high school in Rockville, had fought for the Confederacy. 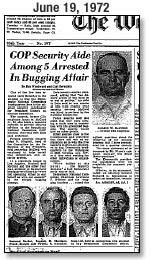 Matthew Fields, the founder of The Sentinel (now the only local newspaper in Rockville), was a vocal supporter of the South, mixing his political vision with a hatred for immigrants, blacks, and Catholics. And of course the Confederate Monument in downtown Rockville. The Confederate Monument was moved to the side of the courthouse in 1971 into a grove of trees as part of the urban renewal of downtown–but is that sufficient? Perhaps we’re still bound by nostalgia or too ignorant to fully realize the meaning and symbolism that was poured into that bronze soldier, who is forever gazing South. The community still commemorated the arrival of Confederate Generals Jeb Stuart (on his way north to Gettysburg in June 1863) and Jubal Early (on his way south to Washington DC in 1864) during the 2013 Heritage Days. The Beall-Dawson House and Glenview, two historic houses owned by the City of Rockville, barely mention the enslaved men, women, and children who lived and worked there and would have continued into slavery for generations had the Confederacy won. Now that we have African Americans serving on our City Council and as the County Executive, isn’t time to rethink who and what we commemorate in Rockville and Montgomery County? Isn’t time for us to reflect on the full meaning of the Confederate Monument? History News Network: What Does Rockville, Maryland’s Confederate Monument Tell Us About the Civil War? About the Nadir? About the Present? WAMU: Should Anything Be Done With The Confederate Monument In Rockville? Nearly sixty people gathered this morning for an illustrated lecture on the history of Twinbrook by Dr. Richard Longstreth of George Washington University. In the 1940s and 1950s, Joseph Geeraert developed Twinbrook on a 200-acre farm that spanned Viers Mill Road. Geeraert’s Twinbrook was roughly south of Broadwood between Rockville Pike and Baltimore Road, although today Twinbrook is considered to be much larger and runs up to First Avenue (much to the consternation of those who live in the neighborhoods of Viers Mill Village and Silver Rock). Geeraert was born in Belgium but came to America as a young man, getting started in construction in Takoma Park. Although he had many projects around the Washington, DC region, Twinbrook was his largest, longest running, and most complex development. He built as funding came available and eventually these small developments interconnected to become the neighborhood of houses, schools, churches, library, post office, and shopping centers that we know today. Most people who drive through Twinbrook assume the houses are all the same, but Geeraert modified and enlarged the designs over time to appeal to the changing tastes of buyers. After the lecture, the audience discussed the names of streets, racial discrimination, and evolving construction practices. Then about half of the group went on a short walk around the neighborhood to see various types of houses and take a stroll on a hidden walkway. It was great to see so many current and former Twinbrookers (including some who lived here for 50 years!) and to hear their stories of living in the neighborhood. This lecture is the first in a series on Rockville’s recent neighborhoods, so check Peerless Rockville’s website for the times and dates of upcoming events, as well as a two new interpretive maps of Twinbrook. After five years of discussion, planning, and construction, the City of Rockville unveiled its new police station with a dedication and public open house on Saturday, October 20, providing a rare behind-the-scenes glimpse inside both buildings and all floors. It was a bit difficult to tell how many people showed up given the informal nature of the open house, but I’m guessing it was about 100-150 people. Most of it consists of (yawn) offices, but some of the more interesting spots were the armory and communications center. The best part, though, was meeting the staff and officers who gave tours or explained the work of their department–so much nicer than when you typically encounter them on the street when they’re handing a crime or a conflict. The federal government abandoned the 1938 post office a few years ago and transferred it free to the City of Rockville so it could be used for a police station. The decision to undertake the $8.5 million rehabilitation and construction project was controversial at times but the new building provides much needed space for public safety and consolidates city offices that were rented and scattered throughout the city. The architects did an outstanding job of preserving the historic post office’s distinctive features, including the lobby and its mural, as well as adding a second building that’s modern but doesn’t compete. One feature that’s not obvious is the emphasis on saving energy, which can be seen in the extensive use of skylights, white roofs, and motion-detecting light switches. One element that does rattle my design sensibilities are the signs, which seem a bit cartoonish and dated, plus I don’t like the colors of green and silver. Chief Treschuk explained that green is a color that’s being increasingly adopted for places of safety (much like yellow for school busses) so I can live with that choice, but the otherwise, the signs really need to be rethought (okay, I’m partially to blame–I sat on the Historic District Commission when it reviewed the plans back in 2010). 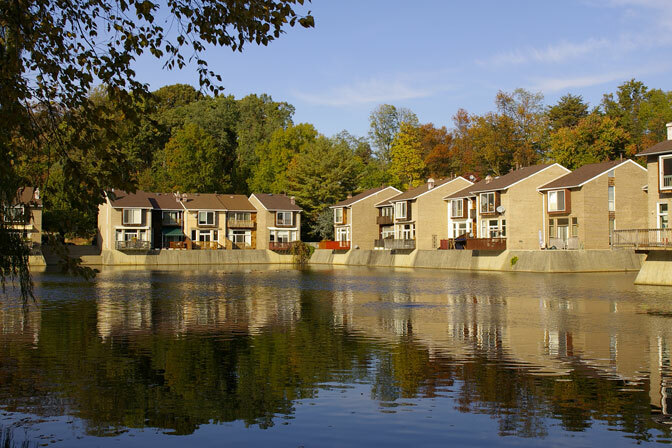 The “lakeside villas” at New Mark Commons in Rockville, Maryland. This Wednesday, May 16, I’ll be leading a tour of 20th-century planned communities for the American Institute of Architects’ annual convention. We’ll start with 1930s Greenbelt (one of a handful developed by the federal government to demonstrate how communities could be intentionally planned, not just haphazardly developed) and then visit two other nationally significant planned communities, both in Rockville: 1960s-70s New Mark Commons and 2000s King Farm. I’ll be joined by Dr. Elizabeth Milnarik, Dr. Isabel Gournay, and Jim Wasilak (Rockville’s Chief of Planning). By the end of the day, participants will have a nice overview of “community making” in the 20th century, all very different responses by some of the best minds of their times. I love sharing Rockville with anyone who’s interested but unfortunately, this tour is limited to members of the AIA. But you can easily explore these neighborhoods yourself and if you want more details, Greenbelt has a museum in one of the original residences and Dr. Isabel Gournay at the University of Maryland has written a scholarly essay on King Farm (and Woodley Gardens) in Housing Washington: Two Centuries of Residential Development and Planning in the National Capital Area , edited by Richard Longstreth (2010). If you’d like a guided tour, suggest it to Peerless Rockville and perhaps they’ll put one together in the near future. As for Mary’s life, the first few weeks were spent in the charming exhilaration which new surroundings always bring. Gaily, she explored the cellar bedroom which had been added to her domain. She liked the little thrill of going up two steps to the living room, and then up another two into the bedrooms. She was as happy as a squirrel in a new, three-ring cage. This light mood persisted through nearly two months, until at last there came that day when her new world suddenly became only too familiar. If you use Twitter to keep up with what’s happening, you can follow this blog @MaxforRockville. Every blog post is automatically shared on Twitter, plus I often use Twitter to report on immediate events in Rockville as I encounter them, such as traffic snarls and city meetings. If you’ve been following @MaxvanBalgooy, those tweets will now focus on my professional work in historic preservation, community engagement, and urban design.